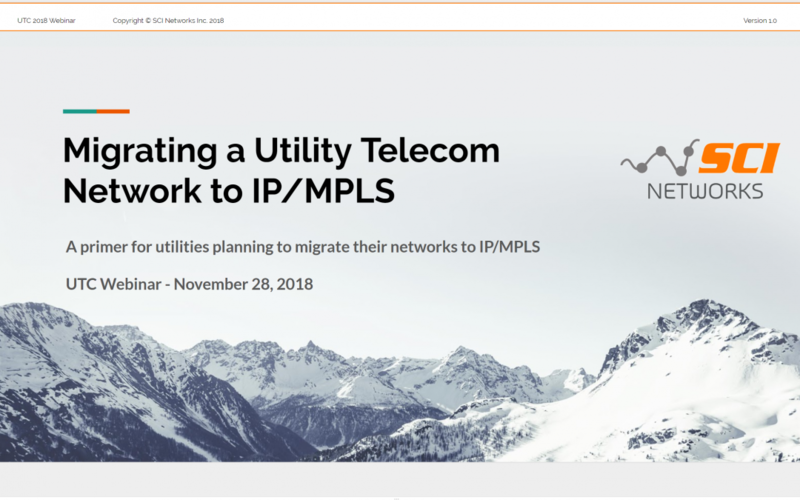 In November, 2018 SCI Networks (Clint Struth, Cory Struth, Dave Anderson) hosted a UTC webinar providing attending utilities with an overview of what is involved with migrating their utility networks from TDM/SONET over to IP/MPLS. The discussion included a presentation (approx. 27 slides) and concluded with a Q&A session where many questions were asked about teleprotection, SCADA, and how services are built using IP/MPLS technology. If you would like to obtain a copy of the presentation slides, please contact us via the Contact page. Technical specialists in planning, designing, and implementing mission-critical networks for key infrastructure. Copyright (c) 2019 - SCI Networks Inc. All rights reserved.